It's new and can be used for a lot of things. Made for the Butcher shop at Walmart to provide a back filler in the display meat case. ABS plastic and impervious to any temperature and can be used for a small counter. 24" X 10" X 8"
Air hose male coupler for quick release and with a 3/8" NPT not your standard 1/4"
New 3 dimensional plastic fridge magnet of a golfers shoes, balls and bag. This unopened can of POP Engine Oil Supplement w/ZDDP is a petroleum oil performance supplement "booster" containing levels of ZDDP (zinc dialkyldithiophosphate) Zinc and Phosphorus additives to help better protect internal engine components including pistons, flat tappet camshafts, lifters and the valve train. New sealed box of 144 individual Holley Carburetor CLOSE LIMIT metering Jets 89-100 double pumpers. New clear Acrylic plastic 8-1/2" X 11" literature counter top display with business card holder on the lower portion. Great display unit that will hold up to 150 flyers or pieces of literature. Will also work on a peg board hook on the wall. New Pair metal spring loaded dome light style switches depressed is open circuit kit. New Pair metal spring loaded dome light style switches depressed is open circuit kit. 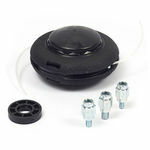 Universal automotive Electronic Flange Mount Pin Switch with Plastic top design. The housing is threaded to give you the right height/ depth for operation. Designed for Car Dome lights/ hood intrusion switch/ auto switch trunk notice and anything else you can think of for these switches. When the switch is depressed, it breaks the circuit. When it's back together, the circuit is complete. Brand New Genuine Oregon Gator SpeedLoad Trimmer Head for Curved Shaft Trimmers… Gator speed load cutting system trimmer head, fits most curved shaft trimmers, patented disc load system eliminates frustration of loading line into trimmer heads, line can be loaded in 20 seconds & lasts up to twice as long as standard trimmer lines, self contained with no parts to lose, comes complete with adaptors to fit echo, shindaiwa & husqvarna curved shaft trimmers & comes complete with adaptors to fit ryobi, homelite, toro, troy bilt & bolens curved shaft & straight shaft trimmers. · Self contained system with no small parts to lose. Package of 6 new Holley carburetor Single-Stage High Performance Power Valves These new power valves came from a race engine builder that purchased the new Hi Po Holley double pumper carburetors he wanted to use on the specific engine(s) being built. Many of these are not marked with the size as they are when purchased from Holley individually. Because they're out of the Holley High Performance carburetors they will be from 5.5 thru 8.5 inches of vacuum operation. I'm going to send you the first 6 in the box and have no way to test / calculate what you'll get. If you experiment or tune any performance Holley carburetor and don't want to spend the $10 (plus) for one. Put your bid down now. If you're in the tune up or Holley carburetor business, you know this is a nice deal you should keep a few in your tool box. It's new and was carried in the plumbers truck for a while. 90 degree lever actuated brass/ stainless steel ball shut off valve with 1/4" female pipe threads on both ends. Full gallon for bottle refills of the "Grease Monkey" spray and wipe universal cleaner. Great stuff for tires or anything else that gets dirty. It's new and serious heavy duty 5,000# hand operated 4-1/4" OD spool X 2" inside width cable winch with removable handle and lock in place spring loaded pin. Use it in any position. 20 pack of automotive or hot rod vacuum caps or fitting plugs 1-5/8" long. 20 pack of automotive or hot rod vacuum caps or fitting plugs 1-5/8" long. 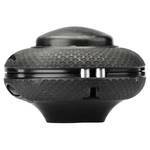 So handy to have in your tool box, race trailer or where ever you might need to cap or plug a line or fitting. Very pliable plastic material makes them universal in fitting and hose size. Get rid of those ugly hose and bolts stuck in the hose deals. Clean up the engine compartment and add some color. So handy to have in your tool box, race trailer or where ever you might need to cap or plug a line or fitting. Very pliable plastic material makes them universal in fitting and hose size. Get rid of those ugly hose and bolts stuck in the hose deals. Clean up the engine compartment and add some color.